Discover the Kennebec Moose River region of Maine by air! It is easy to fly into or out of Maine. Maine offers modern International Airports and a wide selection of smaller air strips. Kennebec Moose River regional Maine Airports and Public Landing Strips are conveniently located throughout the area, making your business or leisure travel a breeze. Yes, It’s easy to fly to Maine. 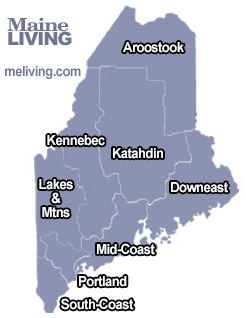 The Kennebec region of Maine is where you will find the Maine Capitol City of Augusta. Air travel to Augusta is serviced from Augusta State Airport – a small but busy airport that features commuter service and provides landing for your private plane. Share your Maine Airport and Airline Comments.